Our critics’ picks of this week’s openings, plus your last chance to see and what to book now. • Which cultural events are in your diary this week? Tell us in the comments below. The Guardian’s Deborah Orr is one of a team conducting the interviews with journalists for this timely site-specific verbatim piece about the media. Andrew O’Hagan co-edits a project directed and edited by Vicky Featherstone and John Tiffany. The Hub, Glasgow (0141-429 0022), 19 April to 13 May. The controversial Ghent-based company Ontroerend Goed returns to the UK with a show that offers a history of everything, from now back to the Big Bang. No small undertaking from a company that has delighted and challenged spectators with previous shows including the outrageousAudience. Drum, Plymouth (01752 267222), until 28 April. A bunch of great-looking teens take a break in a remote woodland cabin. Creepy things ensue – with all sorts of tricks and twists. A first London showing for William Forsythe’s wonderfully deft, postmodern puzzle of a work. Sadler’s Wells, London EC1 (0844 412 4300), 19-21 April. The Place’s annual showcase of new contemporary dance is a varied ambitious mix that opens with a dark double bill about women and love.The Place: Robin Howard Dance Theatre, London WC1 (020-7121 1100), 17 April to 23 June. Revival season for Ashton’s perennially adorable farmyard comedy, with witty lovers, dancing chickens and the cutest of live ponies. Royal Opera House, London WC2 (020-7304 4000), 20 April to 16 May. ENO decamps to a smaller space for Sam Brown’s production of Wolfgang Rihm’s expressionist one-acter, with Andrew Shore in the title role of the schizophrenic poet. Hampstead theatre, London NW3 (020-7722 9301), 17-27 April. Simon Holt’s four years as BBCNOW’s composer-in-association come to an end with the premiere of his scena for soprano and orchestra, based upon Charlotte Perkins Gilman’s proto-feminist novella. St David’s Hall, Cardiff (029 2087 8444), 20 April. The British pianist gets closer to Chick Corea’s funky Return to Forever grooves with the help of fine saxist Ben Waghorn, bassist Fred Thelonious Baker and drums firebrand Asaf Sirkis in this new project featuring his own new pieces. 606 Club, London SW10 (020-7352 5953), 18 April, and touring. The son of folk luminaries Loudon Wainwright III and Kate McGarrigle packs his romantic, witty, orchestrated sounds for two unusually intimate shows. Under the Bridge, London SW6 (020-7957 8261), 17 and 20 April. The former Supergrass frontman unveils his forthcoming solo album, Here Come the Bombs, which marks a shift towards electronics and darker lyrical themes to accompany the trademark good tunes. Tour begins at Koko, London NW1 (0844 499 9999), 20 April. Wolfgang Tillmans photographs, interactive art by Jeremy Deller,Richard Wright drawings, LA-based installationist Kelly Nipper at Tramway, a new film co-commissioned with Scottish Ballet by Rosalind Nashashibi and much more, at venues throughout Scotland’s funkiest city. Various venues, 20 April to 7 May. Katherine Kelly is a delight as Kate Hardcastle in Jamie Lloyd’s wonderfully buoyant revival of Goldsmith’s comic confection of multiple mistaken identities. Olivier, London SE1 (020-7452 3000), until 21 April. This extraordinary drama depicts a long night of the soul for police officers, prosecutors and defendants as they search for a buried murder victim. Welsh National Opera’s tidy revival of David McVicar’s exemplary production, with Joyce El-Khoury as Violetta, and Simon Philippo in the pit for the final performances. Grand Theatre, Swansea (01792 475715), 20 April. A gifted young Dutch saxophonist with big-name connections (the Grammy winner Esperanza Spalding and American drum star Terri Lyne Carrington have appeared on her albums), Postma’s sound evokes thoughts of Wayne Shorter, Lee Konitz and Jan Garbarek. Her compositions are good, too. Pizza Express Jazz Club, London W1 (0845 6027 017), 16-17 April. The reformed manufactured popsters party on with a colourful, covers-packed show that’s part-karaoke, part-giant hen night. 02 Arena, London SE10 (0844 8560202), 19-20 April, then touring until 27 April. Watch 1,001 cathode-ray tube TV sets, of all ages and conditions and tuned to different stations, finally give up the ghost when the London analogue signal is switched off on 18 April, in video pioneer David Hall’s seminal work. Ambika P3, London NW1, until 22 April. Douglas Hodge, who triumphed in La Cage aux Folles at this address and in the West End, directs another Harvey Fierstein classic. Dating from 1982, this landmark gay play tells the story of a drag queen, Arnold, looking for love and acceptance in a hostile world. Menier Chocolate Factory, London SE1 (020-7378 1713), 30 May to 12 August. Ted Hughes‘s poem of ruffled feathers and dark dreams is transposed to the stage by the new British company Handspring UK, sister company to the South African puppet maestros behind War Horse. With choreography from Lost Dog’s Ben Duke, this Greenwich and Docklands festival production could be one of the summer’s must-sees. Borough Hall at Greenwich Dance, London SE10 (020-8858 7755), 21 June to 7 July. This three-day festival situated in a field and forest includes UK premieres and commissions from a number of artists including Nic Green, Tom Marshman, Alex Bradley, FrenchMottershead and others.Woodchester Park, Gloucestershire (0117-917 2300), 29 June to 1 July. 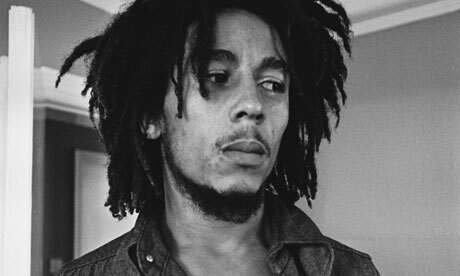 A documentary about the life and times of Bob Marley. He was a musical legend and national icon, but also a flawed and vulnerable human being. Long before Bourne became internationally famous as a reinventor of ballet classics, he was choreographing some of the sharpest little vignettes of dance around. This triple bill mixes witty parody and romantic homage in revivals of Spitfire, Town and Country and The Infernal Galop. 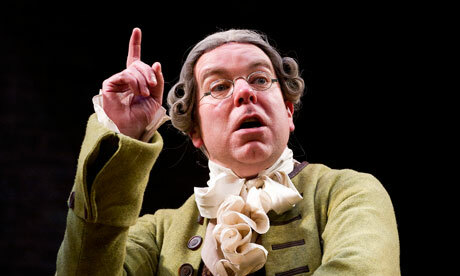 Theatre Royal, Bath (01225 448844), 9-12 May. Then touring. Two days exploring the achievement of the 52-year-old British composer, built around concerts by the London Sinfonietta and the Philharmonia, in which Benjamin himself conducts his own works alongside music by Ligeti. Southbank Centre, London SE1 (0844 875 0073), 12-13 May. Guest director Jamie Cullum curates an all-star international jazz lineup, including former Miles Davis producer/bassist Marcus Miller, guitarist Bill Frisell, cutting-edge US pianist Vijay Iyer with radical saxophonist Steve Lehman, a showcase for new musicians from Norway and much more.Montpellier Gardens, Cheltenham (0844 880 8094), 2-7 May. After the cancellation of the Sonisphere festival, the remnants of the late supergroup announce their own dates to unveil American Idol’s Lambert in the Freddie Mercury role. The show must go on, we suppose.Hammersmith Apollo, London (0844 8 444748), 11-12 July. Performance-based video meets scabrous, hand-coloured etchings in this strange meeting between the Georgian political cartoon and Rottenberg, whose art is grounded in excess, politics and hair oil. Did I say hair oil? Nottingham Contemporary, 5 May to 1 July. Los Vivancos, tras llevar su primer espectáculo, 7 hermanos, por 30 países y bailar ante cerca de un millón de espectadores, regresan a España para presentar en Valencia, en una única sesión, su segunda producción, Aeternum. Se trata de una creación que, según definen, “explora los límites de lo paranormal, de lo sobrenatural”. Una historia sobre “el bien y el mal que fusiona el baile flamenco con el ballet, las artes marciales, el claqué y la magia”. Coreografiado y dirigido por los Vivancos, en Aeternum han colaborado, en el apartado artístico, Daniele Finzi, creador de espectáculos como Corteo del Cirque du Soleil, y en el musical, Fernando Velázquez, compositor de la banda sonora de El Ofanato. La Rambleta, en Bulevar Sur, esquina Pío IX. Valencia. Los ilicitanos Regomello presentan Musas, gracias, una función que combina las canciones satíricas con monólogos humorísticos. Aula CAM, en Doctor Gadea, 1. Alicante. 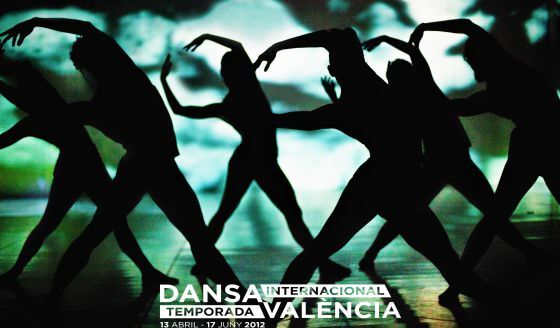 El Victor Ullate Ballet Comunidad de Madrid conEl Arte de la Danza arranca la Temporada Internacional Dansa València (13 de abril al 17 de junio) que ha programado 18 espectáculos en diversos escenarios de Valencia y la sala Arniches de Alicante, que se complementan con un programa de actividades paralelas. Las coreografías de Víctor Ullate y Eduardo Lao conforman un espectáculo rico en matices, ritmos y pasos, para que el público pueda disfrutar con todos los estilos que El Arte de la Danza puede ofrecer. Teatro Principal de Valencia, en Barcas, 15. Valencia. Viernes 13, a las 21.00; sábado 14, a las 20.30; y domingo 15, a las 19.00. 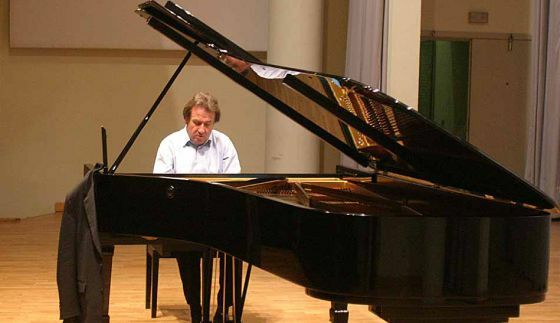 La Orquesta de Valencia y el pianista austriaco Rudolf Buchbinder, bajo la dirección de Yaron Traub, interpretarán el primero de los dos conciertos que el compositor hamburgués Johannes Brahms dedicó al piano. También se podrá escuchar el Concierto para orquesta, de Bela Bartók. Sala Iturbi del Palau de la Música, en paseo Alameda, 30. Valencia. La banda liderada por Bimba Bosé recala en Valencia para presentar su nuevo disco El Feo, tercer albúm de estudio de The Cabriolets, grabado el pasado mes de julio en Molino del Feo (Segovia), de ahí el título de su trabajo. Diego Postigo, Pablo Serrano y Manuel Cabezalí completan este grupo en su álbum más espontáneo, más improvisado. El contrapunto local lo pondrán Blue Dots. Sala Wah Wah, en Campoamor, 52-54. Valencia. A las 23.00. La cantautora nacida en Cordoba Mercedes Mígel Carpio, conocida como Vega, se encuentra de gira por España promocionando La Cuenta Atrás (Sony Music, 2011), su quinto álbum de estudio, con el que entró directa al sexto puesto en la lista de los discos más vendidos de España. Sala Stereo, en Pintor Velázquez, 5. Alicante. A las 21.30. El trompista Javier Bonet interpretará, junto con la Orquestra Simfònica de Castelló, dirigida por Henrie Adams, el concierto para trompa y orquesta Ab origine, de Salvador Brotons. Completa el programa las piezas Vistes al mar, de Toldrà, y la Sinfonía nº3 Heroica, de Beethoven. Auditori de Castelló, en avenida Lledó, 50. Castellón. En Nueva York se exhibe una recreación de las alhajas de la Primera Dama argentina. En el musical Evita, que se estrenó el jueves pasado en Broadway, lo que más deslumbra no son lasinterpretaciones de Ricky Martin o Elena Rogers, en el rol de la mujer del presidente de Argentina, Juan Domingo Perón, sino las joyas que ésta luce a lo largo del espectáculo. Se trata de una serie de 35 piezas auténticas, una recreación de las que pertenecieron a la Primera Dama y a su marido y que ha realizado el orfebre argentino Marcelo Toledo. Las joyas fueron parte del sello personal y distintivo de Eva Duarte de Perón, un icono de la moda y la política. Ella siempre reivindicó que ocupaban un lugar destacado en su lenguaje para conectar con el pueblo argentino. Con motivo del reestreno de la obra de Andrew Lloyd Webber, el hotel Marriott de Nueva York -el mismo que acoge la representación- expone desde el 5 de abril 70 réplicas, en oro, plata y piedras preciosas, de las alhajas de la primera dama argentina, entre ellas las que aparecen en el musical. “Los visitantes disfrutarán de la exhibición de las joyas montada especialmente para la ocasión. La intención es que la mayor cantidad de público posible acceda a ver de cerca el trabajo de orfebrería que he realizado para Evita, y de qué forma, luego, está plasmado en la puesta en escena”, explicó Toledo el pasado jueves durante la premiere. Entre los aros, broches, gargantillas, anillos o prendedores que integran la colección, destaca el collar de rubíes birmanos que el dictador Francisco Franco regaló a Evita cuando visitó España en 1947. Se trata de la joya preferida de la abanderada de losdescamisados argentinos. “Le gustaba tanto que la usó en la tapa de su libro La Razón de mi Vida” señaló el orfebre. También se ha recreado el broche bandera de zafiros y brillantes, con el que la Primera Dama posó en la mayoría de sus retratos oficiales, o el collar de flores en plata que lució desde sus primeros años como actriz. Toledo es el primer artesano que ha sido autorizadopor la familia Duarte y el Instituto de Investigaciones Históricas Eva Perón para recrear las joyas de la Primera Dama argentina, que ahora son propiedad del Gobierno de ese país, quelas adquirió en una subasta tras su muerte. El orfebre, que ha creado piezas para reyes, príncipes, presidentes, artistas y hasta para Juan Pablo II, ya realizó en 2007 una primera edición de las alhajas del icono peronista para el Museo Evita. Después, se mostró en Venezuela, Estados Unidos, Rusia o China. La exposición que ahora se puede ver en Nueva York se trasladará a Argentina más adelante. Allí, además, se exhibirán algunos vestidos originales de Evita, entre ellos creaciones de Christian Dior, Lanvin y Balenciaga, y otras piezas de decoración de los años 40.